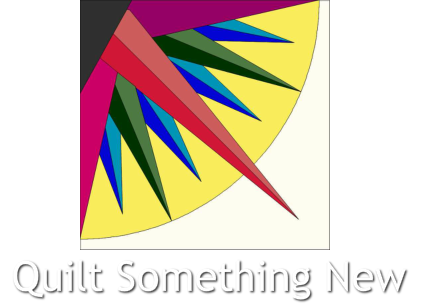 Quilt Something New was started in the basement of Debra Becker in 2002 as Quilt Something. She had bought a longarm quilter and began quilting for random ladies. The ladies liked her quilting and kept coming back. Each time they would come back they would ask her to open a shop and voila! Quilt Something was born. The first shop was VERY tiny but had a great selelction of fabric. Eventually she out grew her location and moved Quilt Something around the block to a larger location. The shop was at this location for several years. We loved the space but felt that it was too big. So, another quick jump (two doors down) and Quilt Something now currently resides at 48 west Main Street, Fremont, MI. Changes happened for 2015. Debra moved her long arm business back home to continue quilting. Karen Hull took over ownership of Quilt Something New. Karen did organization, quilt shows, doll clothes, kit construction and purses. Susie ran the technical stuff like quilt designs, pattern writing, web site and social media updates. In January 2016, Karen Hull passed away. Before her passing a friend had decided to buy the store. It took a little work to make the transition, but in March the store reopens with it's new owner, Kris Hren. The store will continue to have most things that were here. April 2017 the store moved to White Cloud. A larger space with more parking. Long Arm Quilting Services are available in the store. We have both computerized and freehand quilting options. Other hours open by chance, occasionally Sundays. If lights are on, we are usually open.